The last two posts have been about the challenge we all face in preventing the development of antibiotic resistance and treating those who have antibiotic resistant diseases. In today’s world of antibiotic resistant diseases, we all are guided to be vigilant when the plan of care contains antibiotic therapy. Providers have an important role in antibiotic stewardship and so does the rest of the corrections health team, including the nursing staff, the pharmacy, laboratory and clerical staff to ensure our patients receive the community standard of care with regard to treating infectious disease. This post highlights the U.S. Department of Justice, Bureau of Prisons’ development of guidelines for antibiotic stewardship in correctional health care. to communication, competencies and training. Converting patients from broad to narrow spectrum antibiotic therapy. Choosing terminology–using the diagnosis name instead of referring an illness as “just a virus” validates the patient’s symptoms. They will be more willing to participate in the treatment plan when they know you care about what is happening to them. No matter how mild or severe, all illnesses are important to the patient. Offering symptomatic relief—it takes sensitivity when talking about a condition that is a virus or other illness that does not require use of antibiotics. Provide information about symptomatic relief such as over the counter medications, showers, hydration, gargles and warm or cold packs. In addition to talking with the patient provide a handout to reinforce the information. Discuss expectations for the course of illness and possible medication side effects—none of us hears everything the provider tells us at a visit. Our patients benefit from knowing what to report, what improvements looks like and when to report worsening symptoms. Patients should receive information about their illness, treatment or self-care options, what to expect and when to seek medical attention from nursing staff and others at every subsequent patient interaction. Good communication provides the means to engage patients in the recommended and most appropriate treatment regime. Infectious disease is a large group of illness and a challenge in maintaining a current knowledge base. In corrections health, we become more proficient in the most common diseases that our patients have. To assist us we have tools, such as standard protocols for MRSA and skin infections, pneumonia, tuberculosis, sepsis, gynecological infections, urinary infections and sexual transmitted diseases. Just keeping up with the laboratory tests and newly developed antibiotics can be a daily learning experience. Understanding culture and sensitivity laboratory report results. Understanding common IV antibiotic dosing, frequencies and regimes. Knowing the signs of improving clinical status that facilitate de-escalation. Understanding the timing of medication dosing and blood sample collection. Knowing the signs/symptoms of common allergic reactions to frequently used medications. Awareness of the facility antibiotic therapy guidelines. Knowing the common side effects and adverse events associated with antimicrobials. Understanding the principles of antibiotic stewardship. In 1928, Sir Alexander Fleming, discovered a naturally occurring antiseptic enzyme. He was quoted as saying “one sometimes finds what one is not looking for”. From his work, in six years, penicillin was discovered. From early to modern history antibiotics have played a major part in wellness and prevention of mortality. Today, we have new challenges from organisms adapting to medications and not curing illness. Everyone in the health care profession is working to curb this and to ensure all of us receive treatment that HEALS. Are the infectious disease competencies for correctional nurses recommended by the BOP the ones you would recommend? What additions or changes to this list of competencies would you recommend? Please share your ideas by replying in the comments section of this post. Read more about the identification and management of infectious diseases in the correctional setting in our book the Essentials of Correctional Nursing. Order a copy directly from the publisher or from Amazon today! The subject of antibiotic stewardship was touched upon in last week’s post about Superbugs. The goal of these programs is to avoid unnecessary and inappropriate use of antibiotics to prevent development of antibiotic resistant disease organisms. In addition to curing illness, appropriate antibiotic use should also reduce side effects of medications and lower health care costs. Inpatient settings, such as hospitals and long term care, have had programs in place to monitor the use of antibiotics for some time. In 2009, the Centers for Disease Control and Prevention (CDC), launched the “Get Smart for Health Care Campaign ” to promote the improved use of antibiotics. The Joint Commission and the Infectious Disease Society of America (IDSA) have also come out with recommendations, guidelines and tool kits for health care settings to begin their own stewardship programs. A study by the CDC indicates that 30-50% of antibiotics prescribed in hospitals are unnecessary or inappropriate. How does that translate to corrections health? 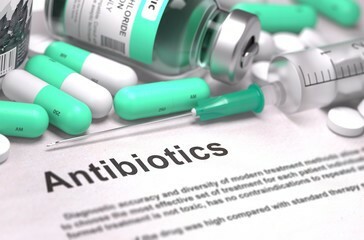 The article states that overprescribing and mis-prescribing is contributing to the development of antibiotic resistant bacteria and challenges from side effects of antibiotic use. Of all the health care settings, corrections health is probably the most cautious in prescribing medications for patients because our patients come from an “medication dependent culture”, whether legal or illegal. Many corrections health programs have policies, procedures and clinical protocol to guide the assessment, diagnosis and treatment of the most common antibiotic resistant conditions, such as methicillin resistant staph aureus (MRSA), resistant tuberculosis and gonorrhea. Even with these practices in place, are correctional health care programs able to assert that all antibiotic use is appropriate? Probably not. Most correctional health programs already have in place the components of an antibiotic monitoring system. The existing quality improvement (CQI) program or pharmacy and therapeutics (P & T) committee should include monitoring of appropriate antibiotic use among the subjects reviewed. Staff to lead the effort could include the staff or consulting pharmacist, the medical director or other provider, infectious disease specialist or nurse, or one of the staff responsible for medication administration. By using existing resources and interest, it is possible to initiate antibiotic stewardship at your facility, no matter how large or how small. Pre-authorization or review of orders for targeted antibiotics with consultation provided about alternatives. If pre-authorization or consultation is not available, after two or three days of treatment review the patient’s response to treatment and adjust treatment accordingly. Conduct a continuous quality improvement study or audit of patient response to treatment with antibiotics to identify areas to target for improvement. Timely diagnostic services, especially for respiratory specimens, aids in the determination of whether antibiotics are necessary. Use of standard protocols for specific diagnoses or syndromes to guide the assessment, treatment and evaluation of the patient’s response to treatment. Corrections health reflects the community. Correctional health care is consistent with and supportive of health care in the community. With statistics like 23,000 deaths per year in the US from antibiotic resistance, stewardship and oversight of antibiotic use has become the community norm. The safety of our patients and in essence the community, requires that we attend to the appropriate use of antibiotics in the correctional health care setting as well. If your facility has an antibiotic oversight or stewardship program, please share your experience with us by replying in the comment section of this article. Next week will examine the Bureau of Prisons’ antibiotics stewardship program and the role of nursing! Superbugs are not only in your garden! Do you find bugs in your yard and garden that are eating your plants, roots, grass and eliminating flowers? Have you tried pesticides only to find the bugs come back stronger by becoming pesticide resistant? Our bodies are the same as plant life in the garden. The ready availability and use of antibiotics to treat illnesses has resulted in emerging infectious diseases that are resistant to known treatment modalities. There are more and more articles in the community papers, TV news shows and health care literature about the challenges to cure health conditions that are caused by medication resistant organisms. The most recent story warned that in the US this new “nightmare superbug” is a strain of e-coli. They used the words “alarming development and terrifying”. Other frequently discussed antibiotic resistant infections have been for tuberculosis, gonorrhea, and skin infections. Some parts of the world are trying to get a handle on resistant strains of malaria. In recent years, corrections health programs have developed guidelines and procedures for skin infections and tuberculosis. They vary with the program and include prevention, identification, treatment and follow up care. The level of isolation or protection and the use of an antibiotic regime is set by the medical directors and pharmacists. Custody and health staff have become accustomed to being taught about preventing contagious disease and are skilled in using standard precautions, wearing gloves, respecting wounds that are bandaged and reporting concerns to medical. Having sanitizing gel and gloves available around the facilities is the norm now instead of the exception. The picture of superbugs really encompasses a world view as changes in how we live and the treatments we receive for illness has contributed to more organisms being resistant to current therapies. We normally focus on our facilities, however, some of the recommendations to help slow down the emerging resistant diseases encourages us to take a larger world view of public health. The United Kingdom recently published a multi-nation review of how to tackle the problem of drug resistant organisms infections. The report outlines steps that should be taken by each of us individually and as leaders in health care at our facility to curb the tide of emerging “superbugs”. Raise awareness of the threat of inappropriate antibiotic use. Improved hygiene to safeguard against infections. Less unnecessary microbial use in agriculture, aided by improved transparency by retailers and food producers. Better monitoring of drug resistance. Development of both diagnostics to cut unnecessary antibiotic use and improved vaccines and alternatives. Another recent article about superbugs described a woman in Pennsylvania diagnosed with drug resistant e-coli and noted the specialized diagnostic and therapeutic resources necessary to treat her. The article also described how new the information about emerging drug resistant disease is and the lack of coordinated and widely disseminated research. So not only do we all need to keep abreast of the infectious disease that are arriving in our facilities, but bring awareness of the need for specialized education and training in infectious disease prevention. We have heard for years about the dangers of antibiotic resistant diseases and have developed procedures and protocols in monitoring and treatment. The most frequently stated practice change is to have antibiotic stewardship programs to curb the inappropriate use of antibiotics. Many of our patients coming into custody have a history of frequent antibiotic use and want us to give them antibiotics for many of their ailments. We need to provide patients with education about appropriate antibiotic use; we also need to ensure staff are knowledgeable and that the practice guidelines are based upon the most current evidence. To address resistance in gardening we now treat superbugs with beneficial insects like green lacewings, ladybugs and praying mantis so lets do the same in health care with appropriate antibiotic use and stewardship. 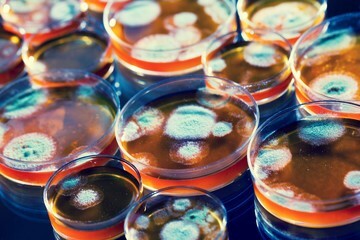 That way we may affect the predictions that millions of people may become ill from “superbug infections” by year 2050. What are you doing to help curb antibiotic use in your place of work? Do you have any special patient teaching tips or resources you would like to share with us? If you do please put your sharing in the comment sections below. We all can learn from each other. What are these eight rights anyway? The picture posted with this column of a nurse on her way to give medications gives rise to many thoughts and memories. For me, it brings memories of my early years in nursing practice. We wore white uniforms, white shoes, white nylons and white caps. . I remember learning how to safely and accurately administer medications through each of the steps from the physician’s order to setting up medications, to administration and documentation. I also remember how much emphasis was placed on giving the right patient the right medications. 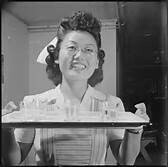 Like the nurse in the picture, medication rounds were done using a tray holding medication in cups and small cards with the patient information and medication on them. Years later, the safety of administering medications was outlined in the Five Rights of Medication Administration. I cannot tell from the literature when these became formalized but when I returned to school in the mid 1980’s, the Five Rights were prominent in nursing practice, risk management and patient safety. As the body of knowledge for nursing practice evolves, we continuously improve our practice to assure our patients receive the highest level of care with an emphasis on patient safety and error reduction. Because of this, three more rights have been added to the body of knowledge for medication administration, making a total of eight rights. Right Patient: check the name on the medication administration record (MAR), use two identifiers; ask patient to identify themselves, check name &/or picture on ID wrist band or badge. Right Medication: check the order, select medication, compare to the order, check the MAR, and then check the medication against the MAR before giving to the patient. If it is a new medication does the patient know what it is for and are there any allergies that would contradict giving it. Right Dose: check the order or the MAR, confirm the appropriateness of the dose, for medications with high risk consequences from dosing errors have someone double check the calculation. Right Route: check the order and MAR, confirm the route is the correct for that medication and dose, confirm that the patient can receive it by the ordered route. Right Time: check frequency the medication is to be given on the MAR and the time is correct for this dose, confirm when the last dose was given. Right Documentation: document administration AFTER giving the medication, document the route, time and other specifics such as site, if injectable, lab value, pain scale or other data as appropriate. Right Reason: confirm the rationale for the ordered medication; why is it prescribed, does the patient know why they are taking this medication. If they have been taking it for long is its continued use justified? Right Response: has the drug had its desired effect, does the patient verbalize improvement in symptoms, and does the patient think there is a need for an adjustment in the medication? Document your monitoring of the patient for intended and unintended effects. Right Documentation: We hear from our legal representatives, instructors, managers and peers, that “if it was not documented, it was not done”. No excuses can make up for a patient receiving double dose of medications when it was not documented or a provider changing a medication when they thought a patient was not taking the medication. Besides accurate and timely documentation of medications administered, this right also includes the accurate documentation of the order on the MAR. Right Reason: When taking off orders or preparing to administer a medication, knowing why the patient is taking a medication is the foundation for patient education and evaluating the effects of the treatment. This is especially important when a particular medication, such as gabapentin, may be ordered to address one of several different conditions (seizure, nerve pain, restless leg syndrome etc.). Information in the patient’s chart will often clarify why this medication is being ordered; if not, consult the provider so that you know what the patient can expect from the treatment. Right Response: We cannot effectively teach a patient about a certain medication and the desired effects of treatment if we do not know the drug ourselves. Knowing about medications is a continual learning process, which grows day by day. Make a habit of learning about new drugs each day. This information can be found in the drug reference books kept in the medication room, by talking with providers, consult with the pharmacist, discussing medications at shift or team reports and exchanging information with team members. See also a previous post that describes all of the online drug references that are available without charge. Even though these additional best practices have been discussed in the literature and have been topics in nursing education for several years, I still hear nurses refer to the Five Rights. They are called rights because they are not a request or desire—but a RIGHT. Each one of the eight rights is fundamental to nursing practice and when used together better promote patient care and enhance safety. By following these steps, nurses promote wellness and identify and prevent harm to our patients. What do the eight rights of medication administration mean to you? How has understanding the eight rights in your practice, improved your patients care? Share your experiences and challenges with medication administration in the comment section below. Read more about correctional nursing in our book the Essentials of Correctional Nursing. Order a copy directly from the publisher or from Amazon today! An inmate approaches you at morning med line and asks for his medication. When he gives you his name and identification number you are unable to find a corresponding Medication Administration Record (MAR) and there is no medication with his name on it in the drawer. This is the psych step down unit so he is probably correct to expect to have medication. When asked he tells you that he arrived on the unit last evening from 3E, the acute psych unit. You tell him that there is no medication for him on the cart and that you will contact the pharmacy and will get back to him later that morning. You are thinking that his medication is still in the med cart on 3E and will call the nurse on the unit as soon as you get back to the clinic. Does this example sound familiar? How many times are you approached to administer a medication and it is not there? It could be because the inmate was just admitted to the facility or just saw the provider and the medication hasn’t been received from the pharmacy. It could be that the inmate was transferred from one unit to another and his or her medication was not transferred to the new location. Maybe the inmate just returned from an off-site procedure and the provider hasn’t reviewed the specialist’s recommendations. Each admission, provider visit, transfer or change in level of care is an opportunity for omission, duplication, dosing errors, drug-drug interactions and drug-disease interactions to occur and with it the potential for an adverse patient outcome. Almost half of all medication errors in the general health care community occur because medication is not reconciled adequately when there is a handoff in responsibility for the patient’s care and 20% of these result in harm to the patient. Transitions in the responsibility for an inmate’s health care have the same risk. Medication reconciliation prevents mistakes in patient care. Verify the name, dosage, time and route of the medication (s) taken or recommended. Clarify the appropriateness of the medication and dosing. Reconcile and document any changes between what is reported or recommended. The following paragraphs discuss how medication reconciliation is done at several key points in correctional health care. Intake screening routinely includes an inquiry into what medications an inmate is taking. Sometimes this question is only briefly discussed. However, if an inmate reports recent hospitalization or receipt of health care in an ambulatory care setting it would be a good idea to inquire again about what medications may have been recommended or prescribed. The same is recommended if an inmate reports having a chronic condition. It may be that they are not currently taking medication because they can’t afford it or were unable to obtain the medication for another reason. Inquiry about medications should also include the inmate’s use of over-the-counter or other alternative treatments. Offenders arriving at a facility from the community, especially jails and juvenile facilities, may have medications on their person and sometimes, family will bring in medications after learning their family member has been detained. It is best practice to verify that the medication received is the same as that on the label. There are several excellent sites for verification of drugs including Drugs.com, Pillbox, and Epocrates.com. Once verified, document the name of the medication, dose, and frequency, date of filling, quantity remaining, physician, pharmacy and prescription number. Whether it is the inmate’s report or the inmate has brought in their own medication the prescription must next be verified with the pharmacy or community prescriber. Once this is done, notify the institution provider who will determine if the medication should be started urgently so there is no lapse in treatment or if the patient should wait until seen for evaluation. Medication should also be reconciled whenever a patient returns to the facility from a hospitalization or specialty care. The clinical summary or recommendations by the offsite provider should accompany the patient, if not, the nurse should obtain this information right away. Recommendations from off-site specialists or hospital discharge instructions should be reviewed as soon as possible by the nurse and provider in order to continue the patient’s care. When clinical recommendations from off-site care are missed or not followed up on needed treatment is delayed and the patient’s health may deteriorate. Evaluating whether the patient is actually taking it as ordered. Following up whenever the medication or the patient is not available and if so, getting scheduled doses to the patient promptly. Also helping the patient to request refills and reorders in time may be necessary so doses are not missed. Also account for the whereabouts of each no show so that medication can be provided as scheduled. Coaching the patient about what to discuss with their provider if they want to make a change or are having side effects. Often patients who want to change or discontinue prescribed treatment will refuse single doses or not pick up their KOP medications. Each of these lapses should be discussed, the patient coached about the next steps to take and the provider notified as well. when was the last dose received (this indicates there is an active prescription and will help determine the urgency for resolution)? If the inmate says that he or she haven’t had any medication yet, ask when they saw the provider who ordered it? (maybe the prescription has not been dispensed yet or it has arrived but hasn’t been unpacked and put away). if they have been moved recently from another part of the facility (medication and MAR were not transferred). when did they arrive at the facility or were transferred from another (check the transfer sheet, medications and MAR were not transferred). is it a prescription brought in from the community (may be stored elsewhere)? if they have gone by any other names (may be filed elsewhere). Based upon the answers to these question you may instruct the patient to wait (i.e. “It was just written last night and hasn’t been filled yet, please check back tomorrow.”) or tell the patient that you will look for it and administer it at by at least the next pill call. If you are not able to resolve the problem promptly be sure to assess the patient to determine if the provider should be contacted. Allowing patients to miss medication, even if somebody else is responsible, is equivalent to not providing treatment that is ordered and can be a serious violation of a patient’s constitutional rights in the correctional setting, much less exacerbate their medical condition. Identify responsibilities for medication reconciliation such as standardizing where information about current medications is located, specifying who is responsible for gathering information about medications and when medication reconciliation is to take place, establishing a time frame for resolution of variances and standardizing documentation of medication variance and resolution. Use standardized forms to ensure that information about medications is elicited and documented. Establish explicit time frames for when medication is to be reconciled and variances resolved such as within 24 hours of admission, within four hours of identification of variance in high risk medications (antihypertensives, anti seizure, antibiotics, etc. ), at every primary care visit. Educate patients about their medications and their role in reconciliation at every transition in care. When do you obtain information about the medications a patient takes and how do you verify the patient’s information? Do you provide patients with a list of the medications they take? What is the patient’s role in medication reconciliation at your facility? If you wish to comment, offer advice about medication reconciliation in correctional health care please do so by responding in the comments section of this post. The first examination of the qualities of professional practice in correctional nursing was done recently in Ontario, Canada. Conclusions from the surveys and interviews of 297 nurses and nurse managers were that the work environment was characterized as understaffed with significant role overload. These nurses also reported limited access to resources, significant autonomy but limited control over practice and experienced significantly higher levels of emotional abuse, conflict and bullying than nurses in other studies. The source of emotional abuse, conflict and bullying most often originated from custody staff followed by other nursing staff (Almost et.al. 2013a). These results support earlier publications about the practice challenges in correctional nursing including limited access to resources and education (Flanagan and Flanagan 2001, Maroney 2005, Smith 2005) , pressure to conform to the values of the custodial subculture (Holmes 2005), and challenges to clinical decision making authority (Smith 2005, Weiskopf 2005). Reasons to improve the quality of the work environment include the ability to attract and retain nurses, increased productivity, improved organizational performance and better patient outcomes (Almost et.al 2013a, Sherman & Pross 2010, Dall et.al 2009, Needleman et.al 2006). Focusing on improving the professional work environment yields significant results even in the absence of increased staffing (Flynn et.al 2012, Aiken et.al. 2011, Friese et.al. 2008). The following paragraphs discuss five factors in work environments that can be modified or enhanced to support professional nursing practice. Accurate interpretation and clarification of the state nurse practice act and its guidance in job descriptions, work assignments and policies and procedures (Knox, West, Pinney & Blair 2014, White & O’Sullivan 2012). Workplace directives should also incorporate or reference relevant aspects of the ANA standards of professional practice for correctional nurses (Knox & Schoenly 2014). Work flow should be examined so that barriers to effective practice can be eliminated including system gaps that increase work complexity and work that is not related to patient care (Knox, West, Pinney & Blair 2014, Ebright 2010, Schoenly 2013). An example of the former is locating supplies used for nursing treatments in multiple locations. An example of the later is when nurses are expected to gather and report data on service volume or for quality assurance audits (number of sick call visits, number of clinic appointments, and number of incomplete MARs etc.). Increase nursing participation on committees such as pharmacy and therapeutics, morbidity and mortality review, mental health, utilization review, and medical administration (Aiken et. al. 2011, Flynn et. al. 2012, Almost et.al. 2013a). Staff meetings also should be reviewed to see if meaningful two way dialogue can be increased to involve nurses in identification and early resolution of practice problems. Consider assignment models that emphasize use of nursing process and clinical judgment rather than task completion; where registered nurses provide a greater proportion of direct care themselves while actively supervising care delegated to others (Corrazini et.al 2013a; MacMurdo, Thorpe & Morgan 2013). Staffing takes thoughtful preparation and legacy staffing practices may no longer work as complexity in health care delivery increases (Knox, West, Pinney & Blair 2013, Ebright 2010, MacMurdo, Thorpe & Morgan 2013). Considered one of the hallmarks of correctional nursing it is also an Achilles heel in the absence of appropriate clinical guidelines and support in their use (ANA 2013, Smith 2013, Smith 2005). Protocols should be based upon nursing process and coordination of care rather than reaching a medical diagnoses and rushing to treatment conclusions. Nurses must be appropriately qualified and experienced in assessment and clinical reasoning as well as skilled in surveillance related to the variety of clinical situations encountered in the correctional setting to use protocols. Provide access to information and tools that enhances recognition of clinical patterns and deviations necessary for good clinical judgment (Ebright 2010). Assist nurses to prioritize and coordinate care with daily briefings, debriefings, huddles and work flow tracking to provide real time information about the availability and assignments of other members of the health care team (including primary care and mental health staff). Establish clear expectations for a respectful workplace in policy, procedure and other written directive. These instructions should define behaviors consistent and inconsistent with professional behavior in the workplace; describe what to do in the presence of unprofessional behavior and how to report these incidents (Almost et.al. 2013a). Joint meetings and interdisciplinary training can be the vehicle to demonstrate support for the goals of both health care and custody (Almost et.al. 2013a, Weiskopf 2005). Nurses may benefit from additional development in the area of conflict resolution because they have such a prominent role negotiating coordination of patient care with custody operations (Schoenly 2013, Weiskopf 2005). Increase communication about patient care between registered nurses and LPN/LVNs (Corrazini et. al. 2013). Orientation also needs to be tailored to the needs of each individual based upon education, licensure and an assessment of competency (Knox, West, Pinney & Blair 2014; Shelton, Weiskopf & Nicholson 2010). The ANA scope and standards of professional practice should also be incorporated into new employee orientation so that nurses develop institution specific skills consistent with the expectation of the professional discipline (Knox & Schoenly 2014). Mentoring and coaching of new employees should be emphasized in development of expertise in clinical reasoning (Schoenly 2013, Ebright 2010). Use creative, simple approaches to continuing education including self-study, reflective exercises, on-line web based seminars, facilitated case review and discussion, and a journal club (Almost et.al. 2013b, Schoenly 2013). Staff with superior knowledge and skill in a subject area can be asked to assist in developing relevant continuing education material (Knox, West, Pinney & Blair 2014). Certification in correctional nursing is available through both the American Corrections Association and the National Commission on Correctional Health Care. These exams are offered regionally and can be administered at the place of employment if there are enough people taking the exam. Includes staffing, equipment and supplies as well as access to leadership. Examining the work of first line managers may reveal sources of role overload (scheduling, meetings, payroll data gathering etc.) that impede their availability to line staff and can be reassigned to increase the availability of clinical leadership to line staff(Almost et.al. 2013a). Review legacy staffing practices and work flow to identify opportunities to adjust assignments that result in more appropriate or effective use of existing resources (Knox, West, Pinney & Blair 2013, Ebright 2010). Involve nurses in evaluation of equipment and technology decisions to prevent acquisition of products that complicate rather than improve delivery of patient care (Ebright 2010). For example decisions about how patient specific prescriptions were packaged have impacted timeliness and accuracy of medication administration in some correctional facilities because the packaging was cumbersome and time consuming for nurses to use. Conclusion: Attention to the work environment of nurses (control over nursing practice, autonomy without isolation, positive working relationships, support for education and specialty certification, and adequate resources) has a profound effect on nursing practice, the ability to recruit and retain nursing personnel and on patient outcomes. More resources about work environments that support professional nursing practice can be found at the sites listed in the resources section below. What do you think can be done to improve the professional practice work environment for correctional nurses? Are there resources or solutions not discussed here that should be? Please share your opinions by responding in the comments section of this post. For more on correctional nursing read our book, the Essentials of Correctional Nursing. Order your copy directly from the publisher. Use promotional code AF1209 for $15 off and free shipping. Stone PW, et al. Organizational climate of staff working conditions and safety—an integrative model. In: Henriksen K, et al. editors. Advances in Patient Safety: From Research to Implementation (Volume 2: Concepts and Methodology). Rockville (MD): Agency for Healthcare Research and Quality (US); 2005 Feb. PubMed PMID: 212498253. Aiken, L.H., Cimiotti, J.P., Sloane, D.M., Smith, H.L., Flynn, L., Neff, D.F. (2011) Effects of nurse staffing and nurse education on patient deaths in hospitals with different nurse work environments. Medical Care 49(12): 1047-1053. Corrazzini, K.N. ; Anderson, R.A.; Mueller, C.; Hunt-McKinney, S.; Day, L.; Porter, K. (2013). 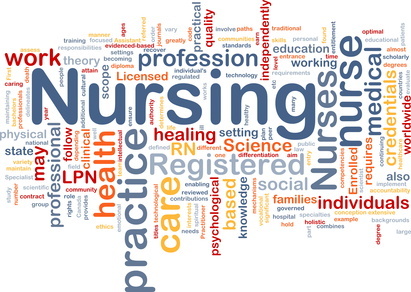 Understanding RN and LPN Patterns of Practice in Nursing Homes. Journal of Nursing Regulation. 4(1); 14-18. Dall, T.M., Chen, Y.J., Seifert, R.F., Maddox, P.J., Hogan, P.F. (2009). The economic value of professional nursing. Medical Care 47 (1):97-104. Ebright, P.R. (2010). The complex work of RNs: Implications for a healthy work environment. Online Journal of Issues in Nursing. 15(1). Flanagan, N. & Flanagan, T. (2001) Correctional nurses’ perceptions of their role, training requirements and prisoner health care needs. The Journal of Correctional Health Care 8:67-85. Flynn, L., Liang, Y., Dickson, G., Xie, M., Suh, D.C. (2012) Nurse’s practice environments, error interception practices, and inpatient medication errors. The Journal of Nursing Scholarship. 44(2):180-186. Friese, C.R., Lake, E.T., Aiken, L.H., Silber, J.H., Sochalski, J. (2008) Hospital nurse practice environments and outcomes for surgical oncology patients. Health Services Research. 43(4): 1145-1162. Holmes, D. (2005) Governing the captives: Forensic psychiatric nursing in corrections. Perspectives in Psychiatric Care 41(1):3-13. Knox, C.M., Schoenly, L. (2014) Correctional nursing: A new scope and standards of practice. Correct Care, 28 (1) 12-14. Knox, C.M., West, K., Pinney, B., Blair, P. (2014) Work environments that support professional nursing practice. Presentation at Spring Conference on Correctional Health Care, National Commission on Correctional Health Care. April 8, 2014. Nashville, TN. MacMurdo, V., Thorpe, G., & Morgan, R. (2013) Partners in practice: Engaging front-line nursing staff as change agents. Presentation at Custody & Caring, 13th Biennial International Conference on the Nurse’s Role in the criminal Justice System. October 2-4, 2013. Saskatoon, SK. Maroney, M.K. (2005) Caring and custody: Two faces of the same reality. Journal of Correctional Health Care. 11:157-169. Needleman, J., Buerhaus, P.I., Stewart, M., Zelevinsky, K. Matke, S. (2006) Nurse staffing in hospitals: Is there a business case for quality? Health Affairs. 25(1):204-211. Shelton, D., Weiskopf, C., Nicholson, M. (2010). Correctional Nursing Competency Development in the Connecticut Correctional Managed Health Care Program. Journal of Correctional Health Care. 16 (4). 38-47. Sherman, R. & Pross, E. (2010) Growing future nurse leaders to build and sustain healthy work environments. Online Journal of Issues in Nursing. 15(1). Schoenly, L. (2013) Management and Leadership. In Schoenly, L., & Knox, C. (Ed.) Essentials of Correctional Nursing. New York: Springer. Smith, S. (2013) Nursing Sick Call. In Schoenly, L., & Knox, C. (Ed.) Essentials of Correctional Nursing. New York: Springer. Smith, S. (2005) Stepping through the looking glass: Professional autonomy in correctional nursing. Corrections Today 67(1):54-56. Weiskopf, C.S. (2005) Nurse’s experience of caring for inmate patients. Journal of Advanced Nursing 49(4):336-343. White, K. & O’Sullivan, A. (2012). The Essential Guide to Nursing Practice: Applying ANAs Scope and Standards in Practice and Education. American Nurses Association. Silver Springs, MD: Nursebooks.org.